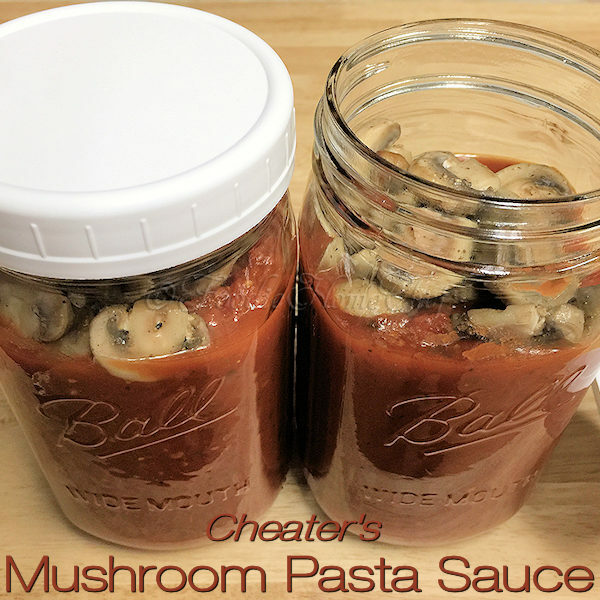 I love mushrooms in my pasta sauce & when I used to buy mushroom pasta sauces in the grocery store, you could actually see good sized pieces of mushrooms in the jar. Not anymore! In the decades since the 1980's, the mushrooms have basically disappeared. 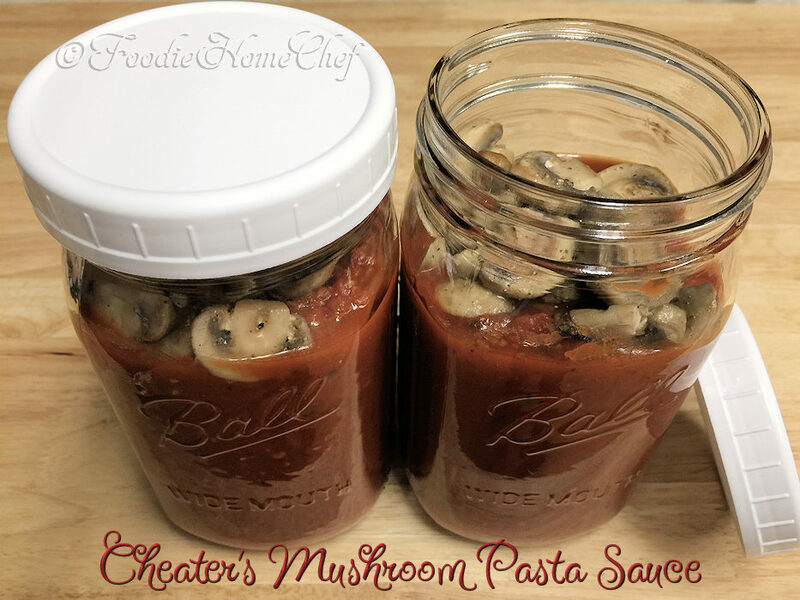 So, when I buy pre-made pasta sauce, I always jazz it up with mushrooms myself. 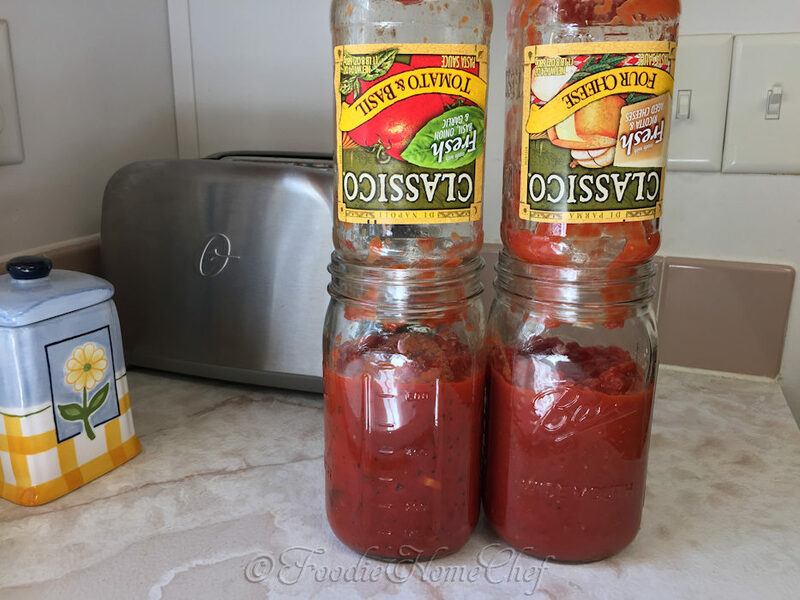 My favorite jarred sauces are Classico brand varieties, as I think they have the best flavor, texture & less additives than most others on the market... even better than the new Ragu Homestyle. Of course you can use any brand you like, Classico is just my preference. 1 Place a dinner sized plate in the freezer. 2 Briefly rinse mushrooms under cool water. Dry thoroughly, trim stem end & slice thick. 3 Empty each jar of sauce into a larger empty jar. 4 Melt butter in a skillet, on med-high heat. 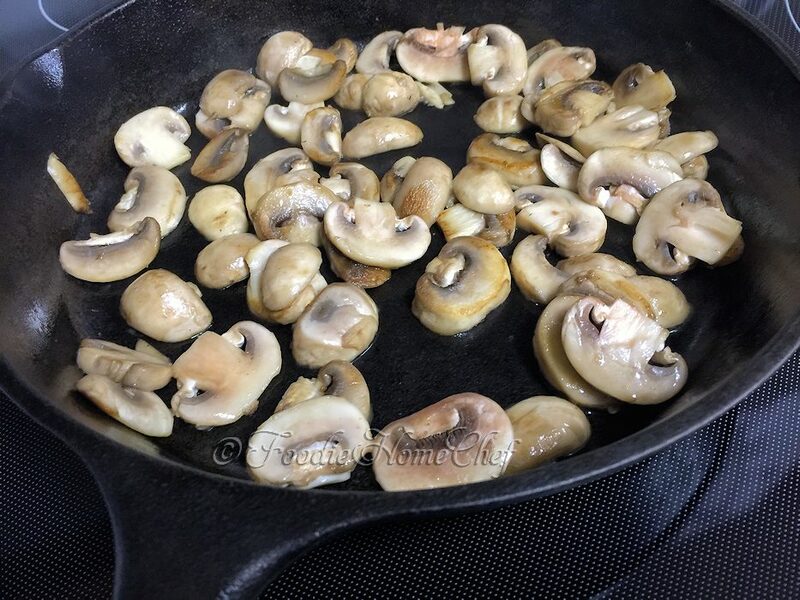 Add mushrooms, season with pepper, cook & stir occasionally till they begin to sweat & a few are turning light brown. Do not over cook. 5 Remove plate from freezer & immediately transfer mushrooms to cold plate. Place in freezer, on a level surface, for 8 minutes (no longer) to cool completely. 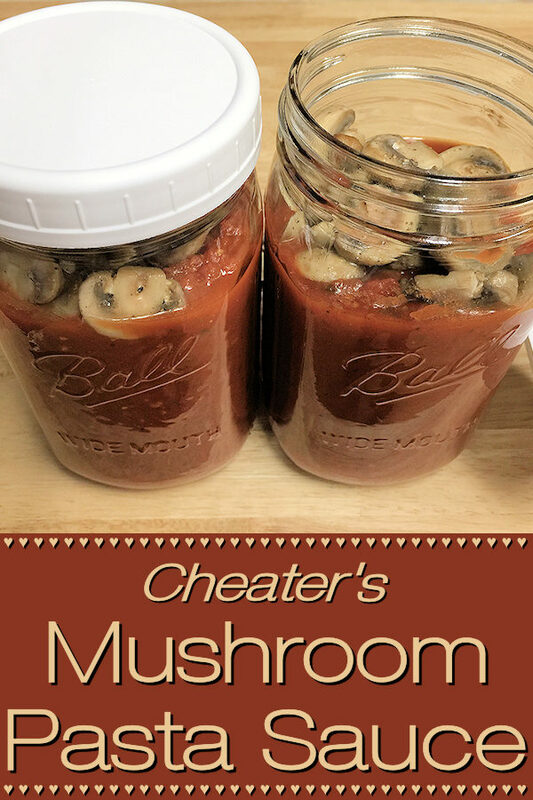 6 Transfer half the mushrooms & drippings into each jar of sauce. Tightly cover & shake well to combine. 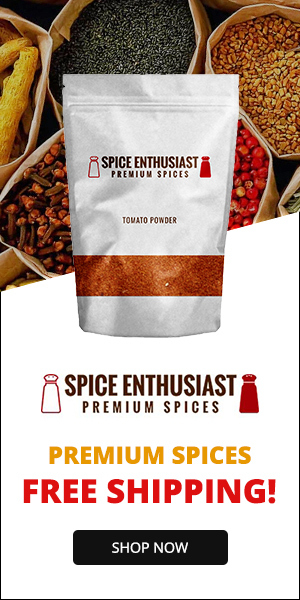 Use in your recipe or refrigerate till ready to use (see Tips# 1 & 2). 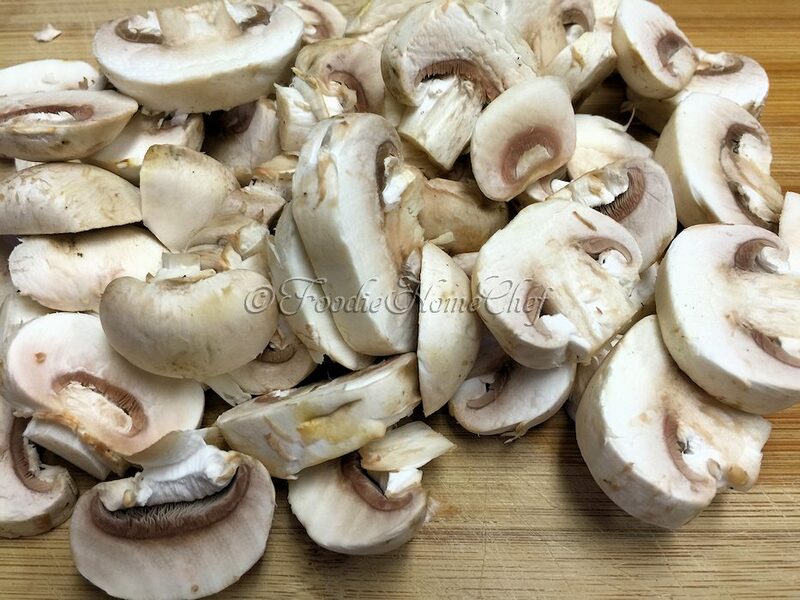 1 Mushroom sauce should last about 2 weeks in your refrigerator. b. Heat, covered, on med-low for 15 min. pasta & top with shredded cheese, if using. 3 You can also add meatballs during Tip# 2. My favorite, of course, are my own homemade from scratch Simone's Famous Italian Meatballs. Or use frozen precooked, my favorite brand is Cooked Perfect... either Angus Beef or Italian Style - 1 oz dinner size meatballs, of course you can use whatever brand you choose. Add the meatballs when you add the seasonings, but increase the cooking time to 45 min to 1 hour on warm (stirring occasionally) till meatballs are defrosted & thoroughly heated.